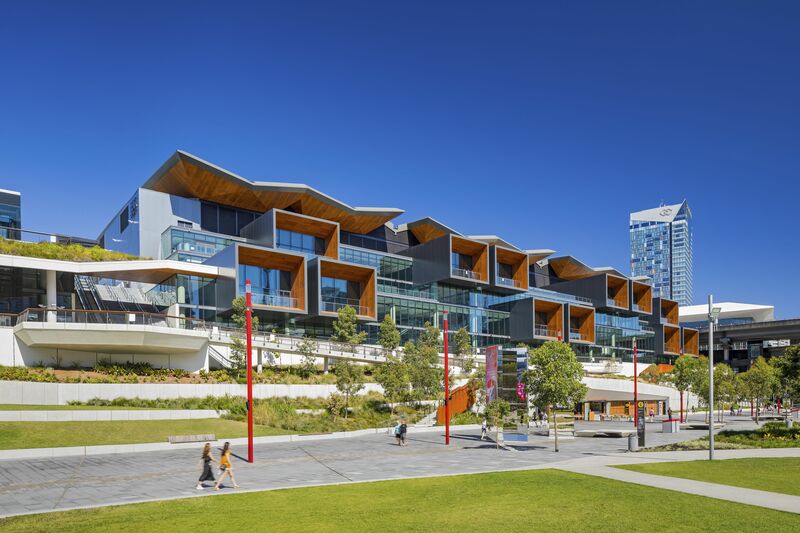 The Darling Harbour Transformation Project, which International Convention Centre Sydney (ICC Sydney) sits at the heart of, has been awarded the Walter Burley Griffin Award for Urban Design Award at the 2018 Australian Institute of Architects National Awards. The project, developed in partnership between the NSW Government, Lendlease and HASSELL + Populous, is Sydney’s most significant urban renewal initiative in more than 20 years. On presenting the award, the jury praised the transformation for its integration into the public realm and recognised the positive impact it is having on the city of Sydney. CEO of ICC Sydney, Geoff Donaghy said the award further acknowledged the change that Darling Harbour has undergone as a result of its revitalisation. NSW Minister for Finance, Services and Property, Victor Dominello said the NSW Government is proud of the public benefit that the multi-billion dollar revitalisation of the Darling Harbour precinct has delivered.